I very much liked Mockingjay also. And I can say I liked it better than the book. I was admittedly very skeptical also about how they were going to turn it into two movies well, but I think they actually did. This one was engaging and thoughtful and I connected to the characters and their emotional journey so much better than I did in the book. For the first time – I get the Gale/Peeta thing and it makes sense – their relationships and the way they evolve. 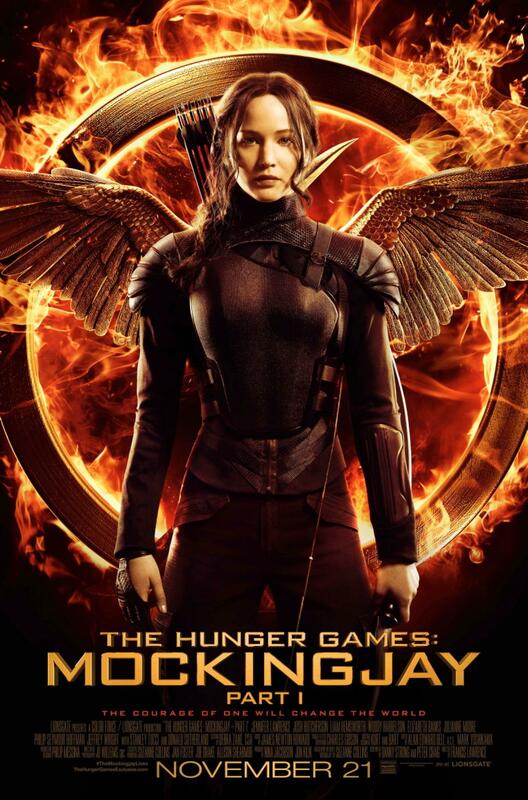 I think Jennifer Lawrence is absolutely fantastic and she is definitely a large part of why this film is interesting. I didn’t remember it before you posted it, but I would have liked to have seen that conversation too. I can see Jennifer Lawrence and Woody Harrelson playing that out and it being this great moment in their relationship. I think the scene in the pipe/tube/tunnel kind of tried to chart a similar emotional course but that would have been a great kind of interplay between them. I agree on all points you made! I told mu husband the same thing about actually feeling more connected to the characters in this movie than I did in the book, especially Katniss, which seems strange when we’re in her head in the book. RIGHT ON about Mockingjay part 1, Amy! I totally agree with you about how well it was done. In fact, I’m pretty sure I liked the movie better than the book, so far! I do think they should have included that scene between Haymitch and Katniss, as you said. Dang. Also, you seemed to have only good things to say about Maleficent, so why only 3 stars? I definitely liked the first movie better than the book! Hoping the same will be true with the second. I waffled back and forth between 3 and 3.5 stars , but the main reason why it isn’t 4 or more is that I don’t have a desire to watch it again. I mean, I have no problem with watching it again, but I’m not going to buy it and it’s not a new favorite. It’s basically a short, light fantasy film, and if I am going to watch something in that genre I would probably prefer along the lines of LOTR. Or if I’m going to watch a new take on a fairy tale I just prefer something like Tangled. Hope that makes sense! Yeah, I think Maleficent was a lot more hyped up than it actually turned out to be. Not that I didn’t enjoy the film, but it’s the kind of “fluffy” film you’d expect from a Disney movie, with just the right amount of cheese, if I’m making sense. I watched it a while back, so what was this plot hole you spotted? 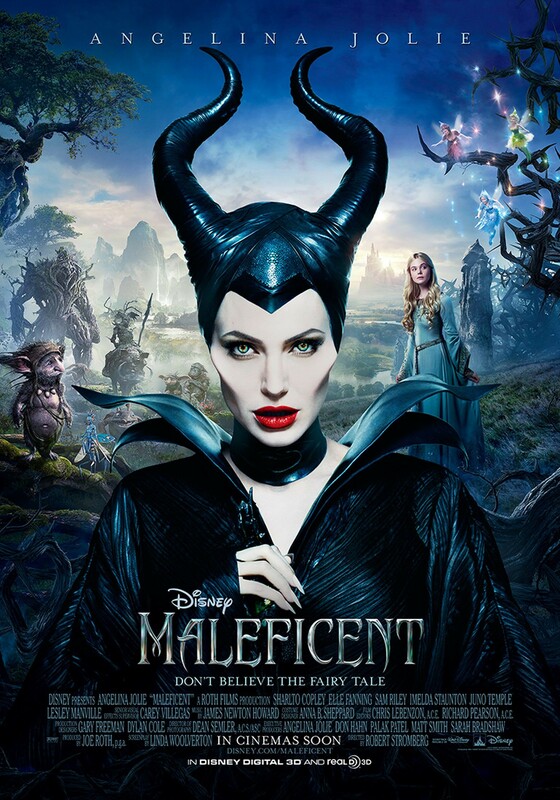 😮 I’m inclined to say that the visuals were the best part of the film, but I guess Angelina Jolie did make a good Maleficent, in the end! Mockingjay: Part 1… HMM. I honestly don’t know what to think of that show. I definitely enjoyed Catching Fire a lot more, because it touched my heart in a very emotional way, while Mockingjay kind of lacked substance, in my opinion. I also found it kind of unbelievable how Katniss was suddenly able to transform into this promo-ready person after witnessing something horrible. In the book it was a lot gradually done, which I felt the film handled poorly. I liked the ending, though — Josh Hutcherson’s acting was BRILLIANT. Well, maybe not a plot hole so much as just Phillip’s logic was seriously lacking. He was like, “Oh, let me have someone else take care of my daughter for 16 years and not see her and nothing will go wrong that way.” Uh, what kind of sense does that make? He could have kept her in the castle and then on the eve of her birthday just lock her in a empty room (of course that last part was what ended up happening and then it didn’t work, but you get the idea). I didn’t see Katniss as suddenly transforming in the film. They asked her to do a favor, and she wasn’t wild about it, but she wanted to save Peeta. She didn’t act for the cameras though, she reacted naturally to crappy situations and the vulnerability of her PTSD was evident in everything she did. At least that was how I saw it, and that was why it worked for me. YAY I’m glad you liked Mockingjay! I thought it was really well done, but I’m not sure if it was necessary to split it into two movies. I mean, they did a really good job with it though. But the first part of Mockingjay didn’t have that much to it, and like you said, slow pacing. I also enjoyed Maleficent, but it wasn’t super amazing. It was just good, predictable, a nice retelling. I wish they could have split the first two movies as well, but then again we would have been getting 6 movies and that would have been a little much I guess. No, it wasn’t necessary, but I think it’ll work out OK.
Maleficent was pretty meh for me, because the visuals were nice and I loved the twist on the romance, but I hate how anticlimactic it was for me. I wanted more shebang. And I want to watch Mockingjay! It’s probably going to tear my feels apart. I personally think the movies just keep getting better and better, and I think that it’s so good that the movie deals with PTSD. I just don’t know if I’m emotionally ready for it. I’m more concerned about how my emotions are going to handle Part Two when crap really starts going down. Though watching Peeta deteriorate in this part is pretty rough. Wow, now I’m really intrigued! I really have to see the parts that are different now, to see if it maybe even improved upon the book. Hope you enjoy it! Look forward to hearing your thoughts on it!